Sierra Institute staff is dedicated to providing engaging and exciting recreation-based activities for our local youth, grades 7-12. 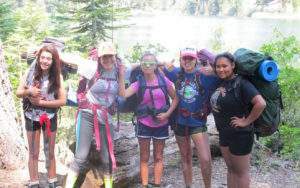 Our recreation programs provide safe and substance-free environments for teenagers to enjoy each others company both indoors and outside exploring our local natural resources. In 2011, Friday Night for Teens (FNFT) launched as a weekly event allowing the local teens of Indian Valley to gather in a laid-back atmosphere to simply hangout with friends outside of school. If you know someone who would benefit from this program or has a cool activity near Indian Valley youth can benefit from, please contact Amy. We are looking to revitalize this weekly event. Greenville Outdoor Adventure Learning (GOAL) is an experiential education program that brings local underserved youth on outdoor recreational adventures to local and surrounding landscapes that they would otherwise not be able to experience due largely to socioeconomic barriers. Since 2013, GOAL has increased involvement in outdoor recreation and natural resource stewardship, while deepening an appreciation for local forests and working landscapes among participants. We aim to increase participants’ physical activity, enhance their familiarity and appreciation of natural resources, increase the number of outdoor recreation adventures, and provide tools and coping strategies to help each person develop as a healthy and sustainable human. These programs are made possible through the Indian Valley Recreation and Parks Department and private donations. 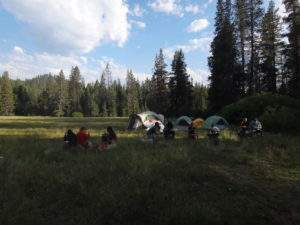 Partners include the Feather River College Outdoor Recreation Leadership Program, Indian Valley Recreation and Parks District, Greenville Jr./Sr. High School, the Plumas and Lassen National Forests, and Plumas County Public Health.